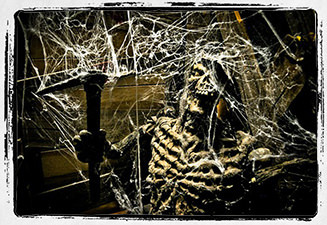 Halloween Month is upon us...are you ready to "scare" up a little spooky fun, this October? If so, this blog post is for you! Halloween has always been a favorite for myself, my wife and our kids. 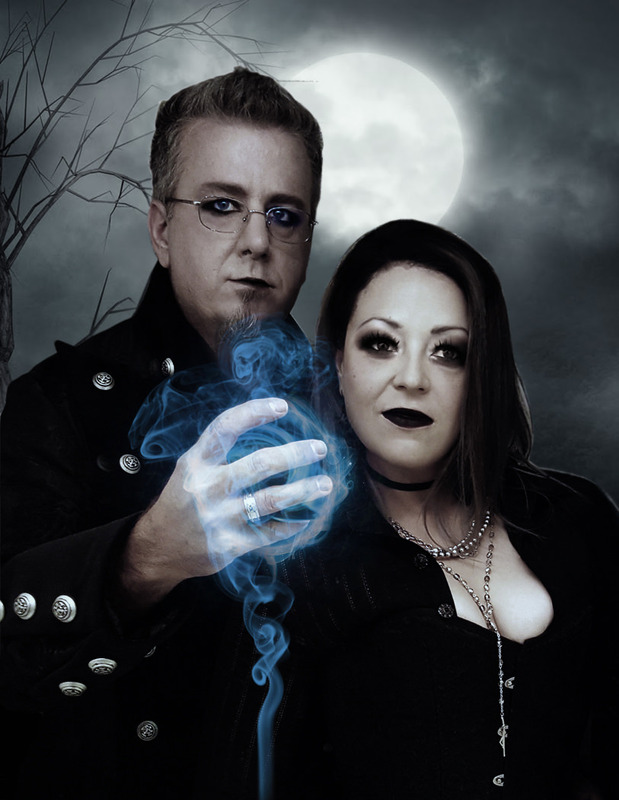 By day, we are a Realtor and Fine Arts Teacher...but we do both have a gothic side that gets unleashed from time to time (usually date nights) and October is our month to let loose! It's a tradition of mine to visit at least one new local haunted house every year and drag my wife along with me, so that I can live vicariously through her reactions! It takes a lot to scare me...my wife, on the other hand, requires quite a bit less effort. So I go in playing the role of noble protector, ushering her safely through the maze to live another year. If you manage to scare me in the process, even just a little, then you've created a successful haunted house! Denver boasts two of the nation's top-rated haunted house attractions every year, in The 13th Floor and Asylum...and while they get the lion's share of the attention, there are a ton of other great ones to choose from, as well! I will attempt to keep this list as comprehensive as I can, throughout the month of October...so if you are aware of one that isn't listed here, please let me know and I will add it. If you attend any of these haunted attractions, don't forget to use the feedback form at the bottom of the page, to offer up a review! Among the best haunted houses in the nation, The 13th Floor has reached legendary status and is a must-visit. 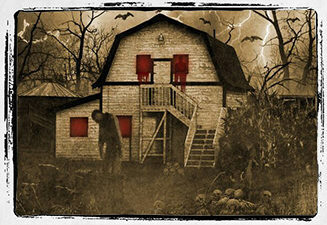 The location has three different and totally unique haunted attractions, as well as mini-escape room games (they last only five minutes) where attendees must use clues and solve riddles to escape! The Cañon City recreation district puts on a haunted house that has been rated one of the top haunts in Colorado for the past three years, by several websites. The event is a fundraiser for the Cañon City Recreation District. 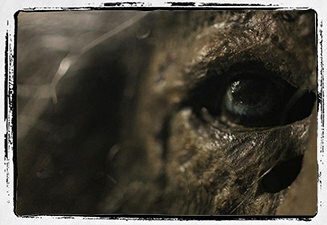 Keep an eye out for terror around every turn...because they have already been watching you! Routinely listed among the best haunted houses not just in Denver, but nationwide...the Asylum is full of deranged mental patients who are relatively harmless, when compared to the nightmarish reality they live in. Explore the grounds but be warned: Stay within the boundaries of the facility, or you may find yourself among the twisted and delusional patients that inhabit this terrifying Asylum! In the same location as Asylum, visitors will travel through a lost City of the Dead, whose inhabitants have succumbed to the zombie plague. 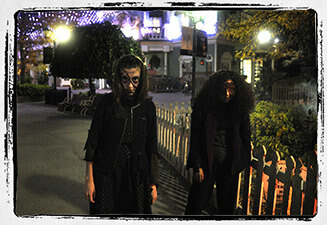 Make your way through the streets as you encounter hordes of the living dead. Can you survive? 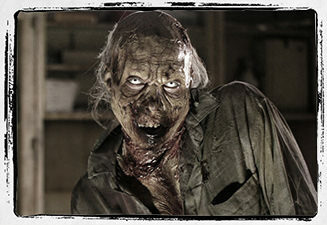 Or will you join the residents as one of the shambling undead? By day, Jack Lantern's Corn Maze is a family-friendly celebration of the fall harvest, boasting two pumpkin patches, bounce houses, farm animals and trick or treating for the kids. However...when darkness finally engulfs Northern Colorado, the ghosts, ghouls, zombies and other terrifying creatures emerge from the shadows of this 20-acre corn maze! 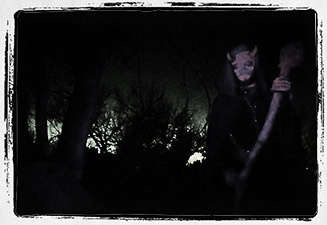 It's exactly what it sounds like...this haunted experience starts in the middle of the Savage Woods at the base of Devil's Backbone. 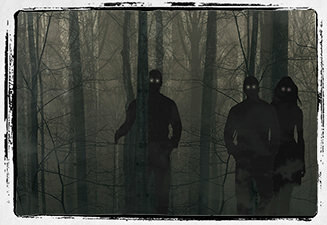 With no guide to rescue them, guests will need to find their way through a myriad of terrifying encounters and escape the creatures who stalk them throughout the night! Two top-rated haunted houses in one location. 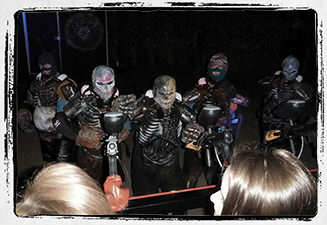 Deep in the bowels of a 100 year-old Catholic monastery, Dark Side of the Abbey and Dark Side Of The Abbey Unplugged will scare and entertain your entire group! 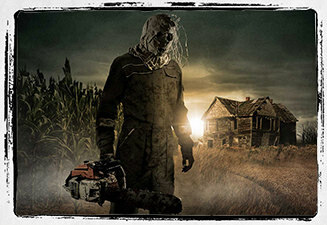 Three unique haunt zones spread across hundreds of acres of farm property, there is something for everyone at this location. 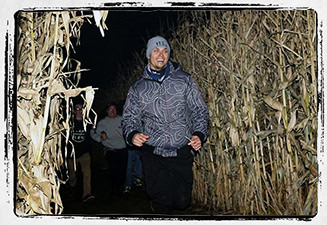 Explore the corn maze in the dead of night (don't worry, it's not haunted), or venture into the part of the cornfield that is known to be haunted by a long-forgotten, dark spirit known as "The Krow." Or, if you prefer, pull up a hay bale and sit down to watch one of four different horror films, a different one playing each week! During the Family by Day portion of Fright Fest, kids can relay, hop and jump their way to victory at Halloween-themed interactive challenges during Ghouls Match. It’s also totally okay for kids to hoot and holler at the Scream It Out competition, when the most earsplitting shriek results in the title of Scream King or Queen. Family by Day wraps up with a costume contest on the KiddieLand Stage at 4:30 p.m. After that, Elitch Gardens transforms into Fright by Night when the sun goes down and shrills and chills take over! Scare-seekers should head straight for the three haunted experiences - No Vacancy, Big Top Freaks and Séance - that thrust guests into the action during blood-curdling live performances that launch at 5 or 6 p.m. and run throughout the night! 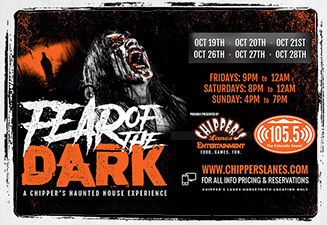 Chipper's Lanes has created a 3,000 square foot, two story haunted house that will have you quaking in your boots, before you ever step inside! This is one of the few kid-friendly options for a haunted experience in Colorado. Each year, the production sets up in a forested area within the upper foothills, creating a lit, walkable path that will take visitors on a haunted hike through the wilderness...and the path changes every weekend! A fundraiser for the Harrington Arts Alliance (a 501c3 non-profit), this is Loveland's only indoor haunted house. Their new location this year is The Odd Fellows - Majestic Gatherings Place, a 110 year-old, 6,000 square foot building that was home to the Loveland Opera House. 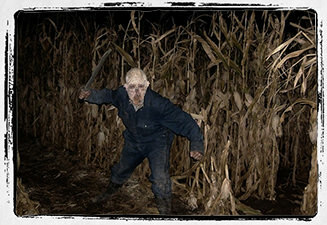 In the corn fields in northeast Thornton, among four unique haunts in one location, lurks the true embodiment of terror! For 2018, every experience at this 30-acre corn maze is completely new...so if you've been in previous years, it's time to check this one out again! 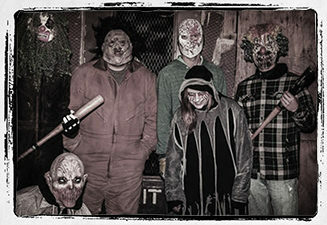 Experience Condemned, Dead Man's Maze, Carnevil and Zombie Paintball Massacre! 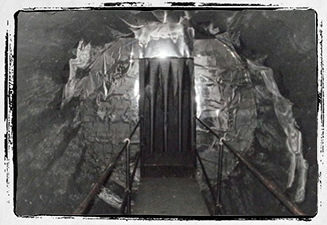 At the site of the former Sinister haunted house, builders uncovered a large cavern and series of mining tunnels. Deep within these tunnels lay buried an array of mysteries and secrets that only the bravest of souls may witness...but will you survive, so that you can tell others of what you found, within its depths? Nearly one mile of sheer terror...no matter how frightened you are, stay on the trail! Evil lurks beyond the boundaries of your walking path and is always waiting for that one stray lamb to wander from safety, into the darkness. 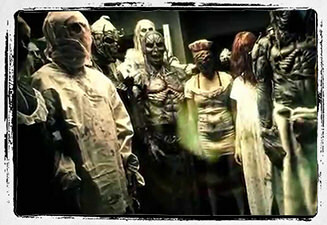 One of the top haunted houses in the nation, having gained the attention of national newsmedia and named scariest and best in Colorado in numerous local publications, over the years. 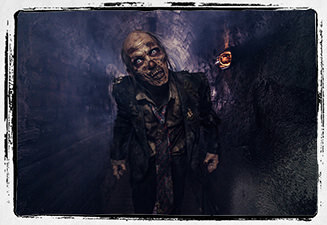 Created by visual effects veterans of the film and television industry, the production values are exceptionally high...and when you're done with the haunt, play Zombie Laser Tag or experience an escape room! What began as a simple haunted house in a family home, quickly evolved into a full-scale haunted house next to the Greeley Mall, two years ago. 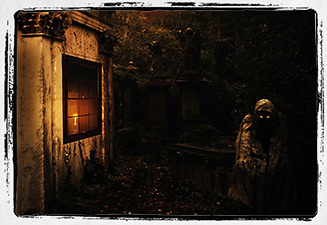 Their new location this year now offers an entirely new dimension in terror! 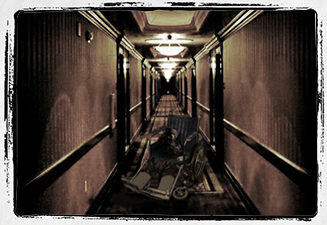 Each room is inspired by your worst nightmares and will unnerve even the bravest visitor. 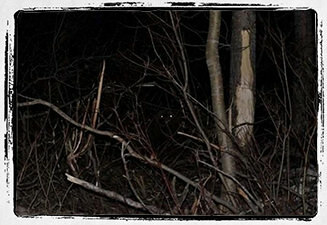 There is something dark lurking in the woods and cornfields at Flat Acres Farm. Three attractions are featured on the property! Reaper's Hollow is a terrifying 20-30 minute trek through the haunted field. Dead End Motel lures frightened attendees with the promise of safety...a promise that is quickly proven false. 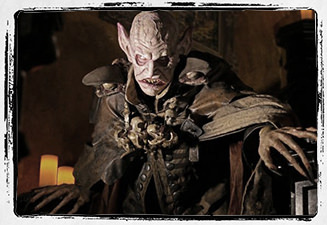 New this year is Goblin's Grove, a one mile trek through a Goblin-infested forest. Can you survive? Making its triumphant return, after a three year hiatus! This is a 50 year family tradition and the grand re-opening promises to offer thrill-seekers an even better experience than ever before...visitors will enjoy a free concert and there will be food trucks and vendors on-hand, as well! They even offer a "lights on" tour for children to experience! Just to the south of Greeley in La Salle, the Fritzler Farm Park is all about fun for the whole family...but when the moon rises, the once kid-friendly farm and corn maze will strike fear into the hearts of the bravest adventurers. 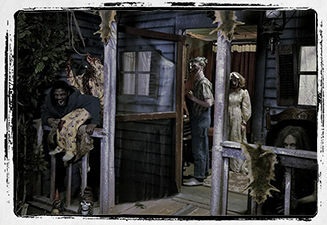 Then visit the Ghost Haunt and escape an abandoned ghost town, full of horrifying special effects. Finally, survive the zombie apocalypse at Zombie Paintball Slayer, from the safety of a converted zombie-hunting school bus! In the same location as the Haunted Mines attraction. 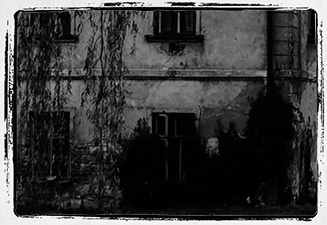 The Inneas House, a boarding home for “The Hurt, Helpless, and Homeless” (as their famous hand scrawled sign indicates) and a medical facility only known as “The Sanitarium” (supposedly aimed at the mental and physical recovery of their patients) make up the complex commonly referred to as “Sinister”. Anderson Farms is a well-known destination for children and families to explore; but when night falls, the farm animals disappear and the screams begin! 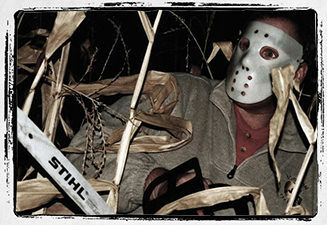 Terror in the Corn is a three part haunt, starting with a hayride through the cornfield. When guests are left stranded in the middle of the field, they must find a way to the haunted ghost town nearby and make their escape! Now co-located with The 13th Floor attraction...this is one of Denver's newest haunted houses. Built to scale as an interactive and immersive experience, steel your nerves against swarms of zombies and the shambling undead as they surround your place of refuge, forcing you to seek shelter in various other buildings as you attempt to survive a zombie apocalypse! A bold claim, to name your haunt "The World's Scariest Haunted House," but it's certainly intriguing to afficianados of the art form! In 2016, it was rated the top haunt in the Denver metro area by Spooky Colorado. You be the judge!